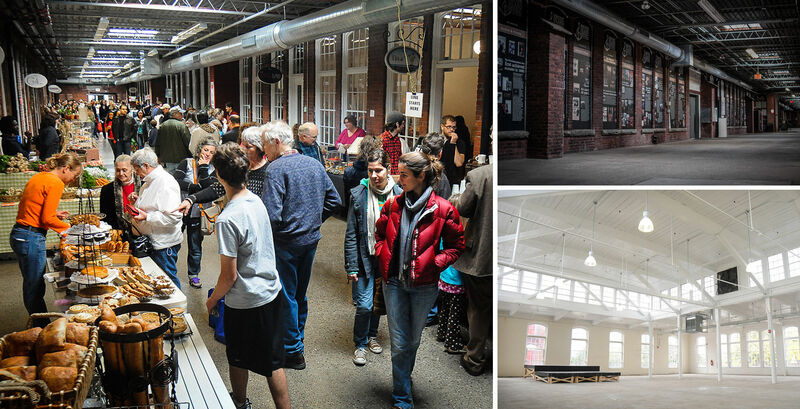 Hope Artiste Village, one of the largest successful mill restoration projects in Rhode Island, is a hub of cultural activity fostering collaboration and innovation among a diverse community of creatives and professionals. Located on Main Street in Pawtucket with easy access to I-95 and just minutes from downtown Providence, the Village hosts a creative mix of art studios, live/work lofts, retail shops, light industrial workshops and professional office suites. This thriving mill space boasts cafes, a coffee roaster, a live music venue, fitness studios, designers, artisans, event spaces and a bustling wintertime farmer’s market.